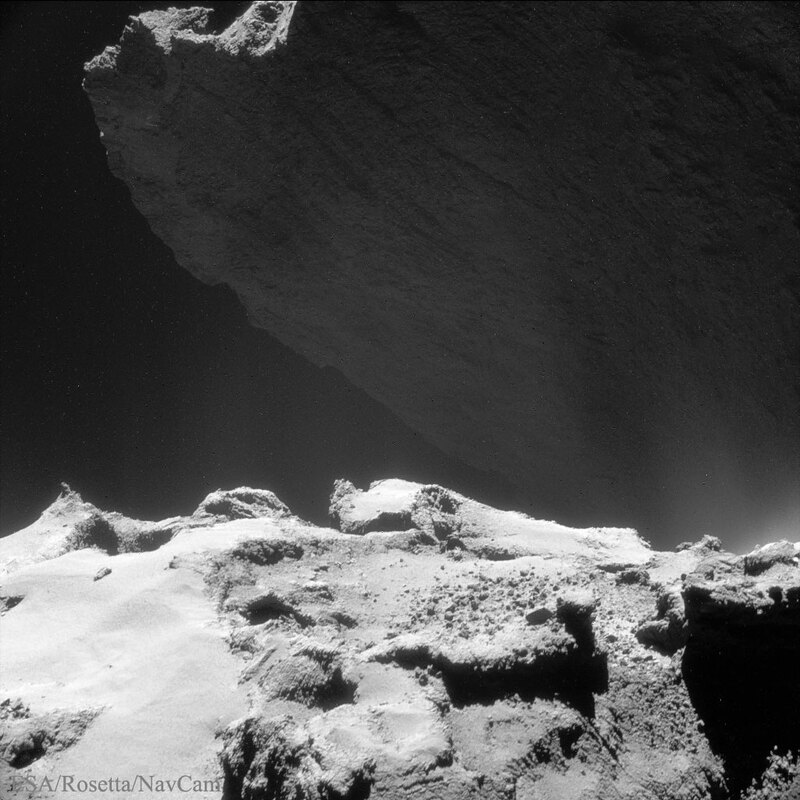 Explanation: What that looming behind this gravel-strewn hill on Comet Churyumov–Gerasimenko? A jagged cliff. The unusual double-lobed nucleus of Comet 67P/Churyumov–Gerasimenko lends itself to unusual and dramatic vistas, another of which has been captured by the Rosetta spacecraft that arrived at the comet last September. The featured cometscape, taken last October and digitally enhanced, spans about 850 metres across. Meanwhile, Comet Churyumov–Gerasimenko continues to sprout jets as it nears its closest approach to the Sun in August. Along the way, Rosetta will continue listening for signals from Philae, a probe that landed on the nucleus but rebounded to an unknown surface location last November. If newly exposed to sunlight, Philae might regain enough energy to again signal Rosetta.